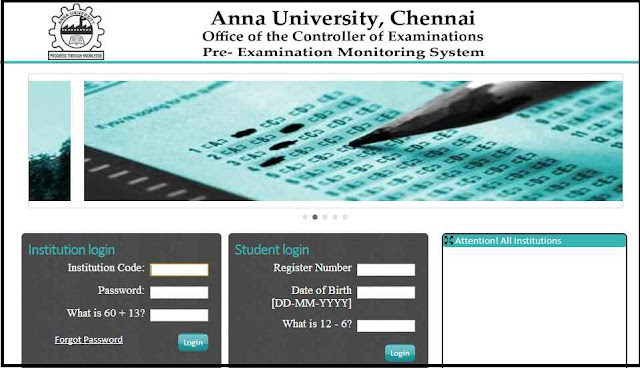 Anna Univ created Coe1.annauniv.edu Student Login 2019 Corner for the affiliated colleges to check results, to check internal marks and other details of the anna univ affiliated college students. 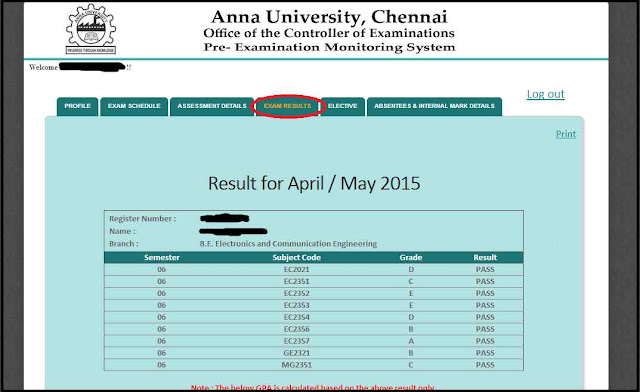 coe1.annauniv.edu home students corner,anna university results coe1 - Before 2-3 years ago there was no Anna university students login portal to check internal marks & results, electives and last semester results. At the end of the semester only students were able to know their internal marks, that too by their class faculties only. 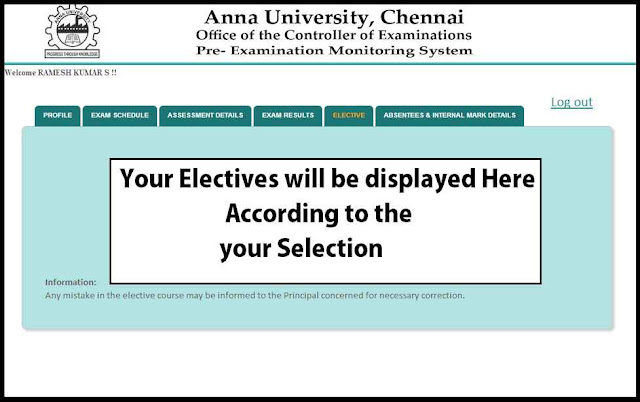 Now Anna University created a student’s login portal to check their elective, internal marks, results, exam timetable and chosen electives by them. To access this portals all you need is your register number and date of birth and solving simple captchas only. You can check the internal marks from coe1 portal after each internal assessments- period wise, final internal marks for 20 marks. Your parents can also able to check their son or daughter’s internal marks, exam results using this Anna university students login portal. "Latest coe1 Notification Updated On 05-04-2019"
More Updates Coming Soon.. Share this with your friends. 05 Apr 2019 - Kind Attention: - Review Results of Nov/Dec 2018 Examinations is Published. 23 Mar 2019 - Kind Attention to the Institution: - WEB PORTAL IS OPENED FOR HALL TICKET AND PRACTICAL ATTENDANCE SHEET (FOR ELIGIBLE REGISTERED CANDIDATES) FOR APR./MAY. 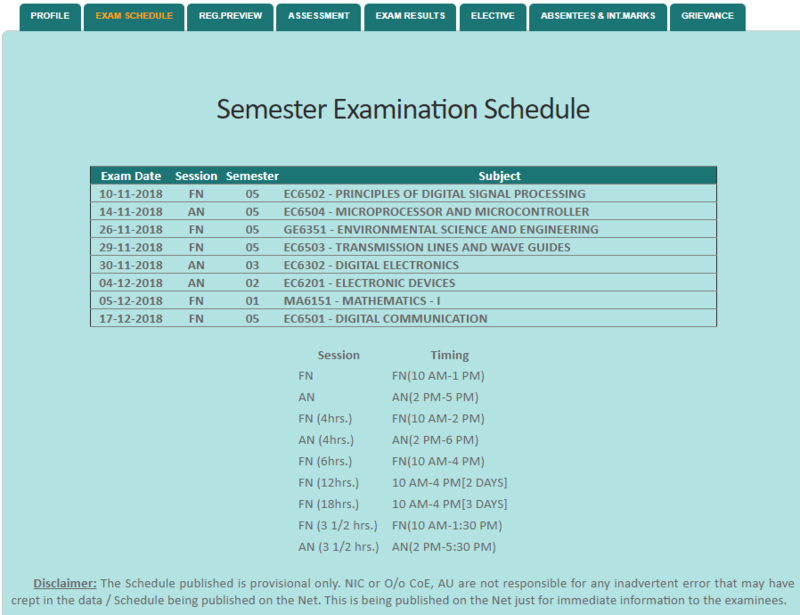 2019 EXAMINATIONS. 21 Mar 2019 - Kind Attention to the Institutions :- Web Portal Opened for Ph.D Profile Entry those who have not entered already.Registration of Subjects for Ph.D Candidates is Available in the Web Portal for April / May Examination,2019 [R-2017]. 20 Mar 2019 - Kind Attention to the Institution: - Revaluation Results Phase II of Nov/Dec 2018 Examinations is Published.Web Portal is opened for applying Review of the answer scripts of Nov/Dec 2018 Examinations. Last Date for applying Review of Answer Scripts is 22-03-2019. Web Portal will be closed by 4:00 P.M on 22-03-2019. 13 Mar 2019 - Web Portal is Opened for Registration of Apr./May 2019 Examinations. Institutions are instructed to take a Registration Preview first and Give it to the concerned student for verifying subjects to be registered. Select April/May 2019 (R-2017) Examination Link for R-2017 Candidates (Kindly go through the Regulations - R2017).Last Date for completing the Registration Process is 19-03-2019 (by 6:00 P.M. No More Extension will be given). Hence, all Principals of the affiliated Colleges are requested to complete the registration process on or before the last date specified above and to pay the Examination fees in time. 13 Feb 2019 - Kind Attention to the Institution: - Nov/Dec 2018 Examinations(First semester UG/PG) Results Published in aucoe.annauniv.edu link. 09 Feb 2019 - Web Portal will not be available for 10-02-2019 due to Maintenance...! 07 Feb 2019 - Distance Education:- Candidates are requested to approach the respective Study Centre for Collecting Hall Ticket for February / March 2019 Examinations.Students who have already made a request for Change of Exam Centre may contact 044-22357300. 07 Feb 2019 - Kind Attention to the Institutions :Revaluation Results of August 2018 Examinations (The students who have exhausted the maximum period of study) is Published in aucoe.annauniv.edu link. Students can apply for Review of Answer Scripts .Last date is 14-02-2019.The Web portal will be closed by 4pm on 14-02-2019. 18 Jan 2019 - Kind Attention to the Institution: - Web Portal is opened for applying Photocopy of the answer scripts of Nov/Dec 2018 Examinations. Last date for Candidates 25-01-2019. 14 Jan 2019 - Anna University UG, PG November results 2018: "The websites are facing technical issues, the students are requested to keep patient. COE1 are working on it, it will be functional soon,".Share this Update With Your Friends. which details can i check on coe1.annauniv.edu student login ? Your Profile Name, Reg Num, Clg Name, Degree & Branch info. Anna University results Result with GPA and also take print. Absentees & Int Marks Out of 20 Final Mark out of 20 + Absent info. You must go to http://coe1.annauniv.edu site. Then enter your Reg-num along with D.O.B. Now Solve a simple arithmetic calculations and click on Login button. Make sure all your details were correct, then only you will be able to login into your profile. Under this section your fill find your previous anna univ result and aucoe anna univ exam schedule updated regularly. The schedule is indicated with time, date, session, and semester and subject code with name. Those who have arrears also can check their arrear exam timetable in this section. 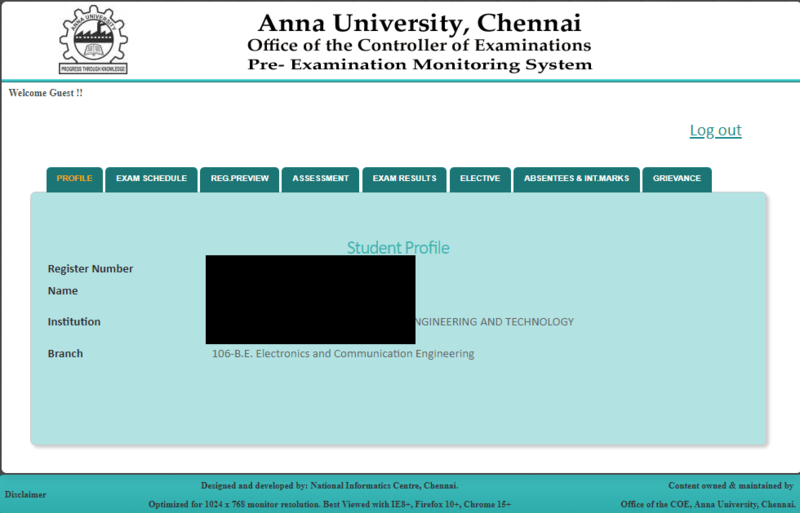 How to Use the coe1.annauniv.edu for Checking anna university results today Online? Visit Coe1.annauniv.edu (or) coe2.annauniv.edu student login 2019. Now enter your reg num and date of birth. Now click on login, if your entered your details correctly your will logged in. If not you will get Submitted value wrong, re-enter correctly. Now you can access all the sections mention above. Click on logout to sign-out from Coe1.annauniv.edu student login coe2, anna university student login corner. anna university student attendance - Internal exams are conducted from your college side and the answer sheets were vaulted within your department staffs itself. The marks which you scored in the internal assessment were updated on the Anna university student’s web portal. AnnaUniversity calculate your final internal marks based on the 3 internal assessments marks uploaded by your college, so it’s compulsory to attended the internal assessments. Visit Anna University Students portal site coe1.annauniv.edu. 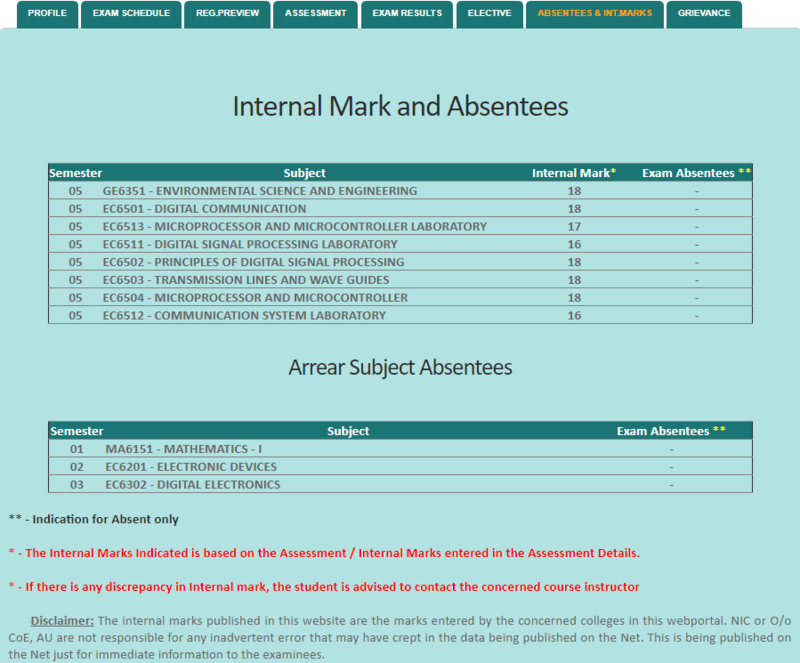 Now navigate in to the Assessment Tab to check your internal marks, it will be look like as shown in the below figure. Here in Results Tab You can check your Latest Published Semester results along with the GPA for that semester. You can easily take print out of the results from the portal itself. Here you can also check your Revaluation results when it’s published. Here you can get which elective you have chosen for that current semester. This tab will available for the students from sixth semester onwards only. 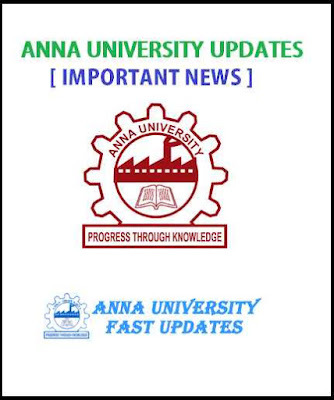 Under this section, information's related to Three Anna University internal marks COE1.ANNAUNIV.EDU - COE2.ANNAUNIV.EDU for each cycle test and Four Coe1.Annauniv.Edu attendance reports 2019 will be provided. Also, Coe1.annauniv.edu internal marks 2019 out of 20 automatically can be checked during completion of all 3 Anna University internal cycle test entry.